Marijuana Legalization in Two States: A Man-Made Public Health Disaster? Dwight Waldo once humorously asked the question: When was someone going to write a dissertation on common sense and administration? Common sense is in scarce supply in administration, public policy and governance, in particular as it relates to marijuana use and the law. While Amsterdam and Switzerland have had second thoughts about the permissiveness of drug laws, the states of Colorado and Washington have legalized the recreational use of marijuana. Is this sensible public policy? Reports indicate that marijuana use has significant consequences for mental and physical health, social and public health in general. So why would any public official or legislator want to legalize it? Do those promoting its legalization know about widely available research its effect? Do they know that marijuana use profoundly affects brain functioning and IQ levels of those under the age of 25 because their brains are still developing? Do they know that the Tetrahydrocannabinol (THC) content of marijuana today can be 10 times more potent than the THC content of marijuana that was widely available several decades ago? There are decades’ worth of research on the harmful psychological, mental and physical effects of marijuana use, including the effects on the unborn and the offspring of users. Hundreds of references can be found in reports, articles and references at http://GordonDrugAbusePrevention.com. Perhaps, most compelling, are recent findings outlined by Dr. Nora Volkow, director of the National Institute of Drug Abuse, in an interview with the Dalai Lama. The exchange took place November 2013 in India and focused on the effects of mood-altering substances, including marijuana, on human behavior and brain function. The video includes compelling brain scan results. Dr. Volkow discusses new information concerning the permanent harmful effects of marijuana on the developing brain. Proponents of legalizing the recreational use of marijuana may well change their views if they see that video. In addition, research recently published in the April 16, 2014 Journal of Neuroscience revealed that structural anomalies have been found in the brains of casual users; anomalies that are linked to disruptions in behavior. Most recently, long term behavioral effects, including a seven fold increase in suicide attempts, in young users of marijuana have been reported by The Lancet Psychiatry in its September 9, 2014 issue. The proponents of marijuana legalization do not seem to be paying attention to these significant research findings. They dismiss such findings as out of hand, holding fast to their view that marijuana is a “relatively” harmless substance. In some cases, proponents may not know about the wide array of research available on the effects of marijuana and they may not have the expertise to understand the significance of those findings. The high THC potency of marijuana today is a compelling enough reason to keep its use illegal. Unfortunately, those who support legalization seem to be ill-informed. How else might their arguments in favor of marijuana legalization be characterized? The arguments are varied but ignore key facts. Response: Is marijuana use a victimless act if it affects the lives of all those around the user, not to mention the life and health of the user? Is marijuana use an innocuous act if it has known harmful effects on the developing brains of those who use it? Is it an innocuous act if it affects one’s behavior and mental functioning? What are the consequences of a “stoned” citizenry? Can a representative democracy afford to have a dumbed down or partially stoned electorate? Response: Agreed. It is a fact that more individuals from lower socioeconomic groups are negatively affected by marijuana laws. The remedy, however, is not legalization which only increases its use, including among lower socioeconomic groups. A better remedy is to use the justice system to remand users from all walks of life to drug court programs and other programs that emphasize counselling, education and treatment. Through judicial discretion, this can be done without giving individuals criminal records. The aim of drug courts and other similar programs have been to discourage use of mood and mind altering drugs and help all individuals fulfil their potential as healthy, functioning individuals. Making marijuana use legal simply sends the false message that the marijuana has insignificant, harmless consequences to the individual and society, when in fact its use has significant harmful effects. Response: Indeed, what is currently happening in Colorado and Washington is that many individuals are making money selling drugs in the black or gray markets, undercutting the prices that the “legal” dealers are charging. Reports indicate the numbers of users of all ages are increasing, including those who live in nearby states. According to reports, the number of individuals seeking treatment had already been growing in the years prior to the legalization of recreational use of marijuana. In addition, traffic fatalities in Colorado involving drivers testing positive for marijuana had already increased by 114 percent from 2006 to 2011. Anyone familiar with the effects of marijuana on cognition, memory, concentration, judgment, perception, sense of space and time, knows full well that users cannot safely drive or operate machinery. Response: The president has a constitutional obligation under Article II, Sec. 3 to “take care that the laws be faithfully executed.” The president is clearly not enforcing the Controlled Substance Act, which pertains to the control, distribution and use of marijuana. He is allowing the abrogation of international treaties to which the U.S. is signatory. What are the implications for the future viability of the rule of law and the Constitution when states act in ways that are counter to international treaties and federal law? Or when the Department of Justice and the president allow states to abrogate international treaties and federal law? An article on “The Illegality of Legalizing Marijuana Use: An Open Plea to the President and Other Sworn Public Officials…” by the author at Family Security Matters focuses in further detail on these concerns. Response: With increases in use, costs to society can be expected to grow. In Colorado where use has been on the increase for many years, there has been an increase in fatalities resulting from accidents involving individuals driving under the influence of marijuana, resulting in incalculable costs. There have also been increases in the numbers of individuals seeking emergency care at poison centers and emergency rooms; an increasing number of individuals seeking treatment for chronic use and psychological and physical addiction. These and other public health and public safety consequences as well as consequences for work place productivity and safety should not be lessened for the sake of economic productivity or tax revenues. No amount of tax revenue would begin to equal the costs to individuals and society. David Brooks recently made a point in his New York Times op-ed piece, “Been There, Done That” that law is culture. Changing the law can lead to wholesale changes in behavior, values and beliefs. Indeed, when the president (out of context, it is now said) minimized the harmfulness of marijuana, what impact did that statement have? Any parent with youngsters or teenagers knows all too well the answer to that question. It would seem to be magical thinking (ironically, an effect of marijuana use) to assume that the use of marijuana could be widely legally sanctioned and that its use would not spread throughout society. Indeed, the authors of the 2012 Report of Organization of American States on “The Drug Problem in the Americas” discuss the profound implications of legalization. “….Even with relatively restrictive regulation, the result of le­galization is likely to be expanded use and dependency” (p. 94). Proponents of legalization seem ready to jeopardize the social and public health of the nation and most significantly, the mental health, behavior, motivation and productivity of the rising generation. A Governor with uncommon common sense so direly needed at this time in the nation’s history…. 2 Responses to Marijuana Legalization in Two States: A Man-Made Public Health Disaster? and “My use of marijuana is not hurting anyone”. Here is a response: Is marijuana use a victimless act if it affects the lives of all those around the user, not to mention the life and health of the user? Is marijuana use an innocuous act if it has known harmful effects on the developing brains of those who use it? Is it an innocuous act if it affects one’s behavior and mental functioning? What are the consequences of a “stoned” citizenry? Can a representative democracy afford to have a dumbed down/stoned or partially stoned electorate? Advocates of marijuana use may well be unfamiliar with the research. Indeed, their use of marijuana may have affected their ability to discern what the effects of the use of the substances has had and is having on them. They may be in a state of denial concerning the implications of the research for their own health, the health of their friends and families and co-workers and if they are serve the public in some way, the health and safety of those they serve. I think that a “stoned” citizenry is not a good thing for anyone concerned. The recommendation that I am making is to give individuals the option of having their use of marijuana be adjudicated or of taking part in drug court type programs or other counseling, education, or treatment programs as needed by the individual. As regards research, there has been an abundance of research for decades that has shown beyond a shadow of a doubt that there are innumerable problems accruing from the use of marijuana: psychological, mental, physical, and spiritual. See the 33 page list of references at http://GordonDrugAbusePrevention.com. .Also see http://SpiritualHarmofMarijuana.com. Both could well be eye-opening. See also the September 9, 2014 issue of The Lancet Psychiatry and the Journal of Neurology issue for April 16, 2014. According to the former, young users of marijuana are seven times more likely than non-users to attempt suicide. Many other differences in behavior were found including those with implications for productivity and being a functioning member of a free society. The latter article reports on brain anomalies found in the brains of casual users. Marijuana use affects cognitive functioning. It can be hard for individuals whose cognitive functioning has been affected to recognize that their cognitive functioning has been affected! Users who believe there are no harmful effects might experiment with stopping their use for a few weeks or months and see if they note a difference in their ability to think clearly. They may also note a difference in their ability to concentrate. Their memory may also improve. After a time their propensity for contact highs and flashbacks may diminish. [Yes, research shows there are such effects.] 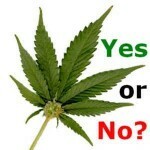 Research also shows that THC and other components of marijuana are retained in the body long after its use. See the research for how long a period of time this might be. Those who do not know the research are too often engaging in wishful thinking that there are no harmful effects, short term or long term. Would that that were the case! Sadly it is not. I recommend that anyone who uses marijuana cease their use and see what changes in behavior follow. Friends and family and associates at work may be the first to notice. Have a look at the exchange between Dr. Nora Volkow and the Dalai Lama that took place in India the fall of 2014 at http://dalailama.com/webcasts/post/300-mind-and-life-xxvii—craving-desire-and-addiction/4588 . The two hour video at that is apt to change the life of any user. The video exchange includes brain scans of users and explanations are provided concerning the way in which the behavior and the will power and initiative of users are affected by psychoactive agents, including marijuana. Best wishes to you in your efforts to think clearly about the effects of marijuana use and to realize what life has to offer at its best without resorting to the use of a mood altering psychoactive substance. Federally regulated psychoactive substances, including prescription drugs, should only be taken under the strict supervision of a medical doctor who is well versed in their harmful side effects. I hope these comments are helpful to you, those who care about you, and those you care about. I feel bad for your family. PerscriptIoN drugs have side affects too. Your opinion shouldn’t even count. Your old and feel like you have a voice. Well you don’t and shouldn’t because every word in your poorly written article is trash. Have a good one.